National parks of the United Kingdom are areas of relatively intact and undeveloped landscape of outstanding natural beauty conservation of which is in the national interest. Although national parks are typically publicly owned and managed by the government, most of the land in the national parks of the United Kingdom is privately owned. However, human and commercial activities within the boundaries of the country’s national parks are strictly regulated including on privately owned land. Currently, there are 15 national parks in the United Kingdom which are designated under the National Parks and Access to the Countryside Act 1949 in England and Wales, and the National Parks (Scotland) Act 2000. As much as 10 national parks of the United Kingdom are located in England. Wales has three national parks, Scotland has 2, whereas Northern Ireland does not have a national park yet. Most of England’s national parks were established in the 1950s – Peak District, Lake District, Dartmoor, North York Moors, Yorkshire Dales, Cornwall, Exmoor and Northumberland. The Broads National Park was established in 1988, while New Forest National Park and South Downs National Park were designated only in the recent years. Wales has three national parks, however, they cover nearly 20 percent of the country. Snowdonia was the first area to be designated as national park in Wales in 1951, followed by Pembrokeshire Coast one year later and Brecon Beacons in 1957. Scotland received national parks only in the 21st century. In 2002, the Loch Lomond, Golf Course and the Trossachs Park was officially opened, whereas the second national park in Scotland – Cairngorms National Park became operational one year later. The Scottish government also considers establishment of a coastal and marine national park but no decisions have been made yet. Northern Ireland is the only country in the United Kingdom that does not have a national park. Serious moves have been made to create a national park in the Mourne Mountains in Down County but the project is currently on standstill also due to opposition by a part of the local community that fears about its potential negative impact on their lives, in the first place on the farms, local industries and house prices. All national parks of the United Kingdom attract visitors with almost intact nature of exceptional beauty but all also include human settlements and human land use. 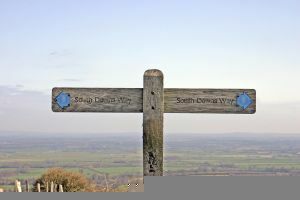 Within the boundaries of South Downs National Park for instance lives more than 100,000 people. The number of population within other national parks of the United Kingdom is considerably smaller but they may include several thousand of people living in smaller towns and villages included in the national park. Visitors of national parks of the United Kingdom are attracted by their natural beauty but many also contain important archaeological and historical monuments from prehistory to modern era. Another beautiful place is the the Northumberland National Park which is home to the famous Hadrian’s Wall.